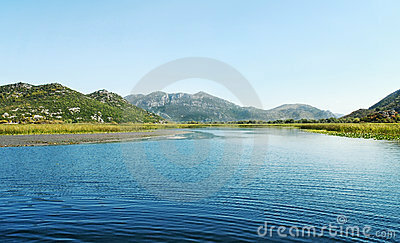 Lake Skadar is a wonderful natural area just waiting to be explored. It is a large freshwater lake which is located on the borders of Albania and Montenegro. It is encompassed by dramatic karst mountains, rocky shores and wetlands that are home to lots of wildlife among which are over 260 species of birds. One can also visit traditional fishing villages, islet monasteries and pristine beaches. Lake Skadar became a protected national park in 1983 and was added to the World’s List of Wetlands of International Importance in 1996. Nominated in 2011 for UNESCO heritage status. A great many Montenegrins look at this area as being their country’s heart and soul. This is the place where the former Montenegrin royal family spent their summers, where Turkish invaders looked to conquer and where you can find some of the very best wines and organic food. This is truly a paradise for birds with lush swamp vegetation or rocky islets which are covered by shrubs and pomegranates. Among the bird species which you’ll find here are the rare southern dalmatian pelican and pygmy cormorant. There are also storks, herons, egrets and ibises usually among the reeds. On the rocky shores you’ll see falcons and eagles looking for food. In the mountains you’ll discover wild tortoises, colorful lizards and amphibians and snakes. In the wintertime you can catch a glimpse of a wolf or wild boar. All of the paths and pastures have medicinal herbs and wild orchids growing in the summer. On the surface of the lake you’ll see water lilies. In the wintertime when the lake swells there are pike, perch, trout, and carp along with about 50,000 birds making their winter home here. In the valleys you’ll find wild sage, rosemary and mint. In most every garden here there are mandarins, cherries, figs, plums, walnuts, pomegranates and peppers which can also be found on most every hiking trail. You can discover great flavor in taking a taste of the locally produced goat cheese, domestic honey, home-distilled rakija and various different flavored home-cured prsut or smoked ham. Since the lake is home to more than 30 different species of fresh-water fish like trout, meaty saran and carp you can catch, cook and eat them the very same day. Here you will also find the renowned wines of the Zeta plains and Crmnica Valley. International award winners include the red vranac and white krstac grapes. Close by is Plantaze vineyard which is among the largest in the world. When you have had you fill of food and wine then there are lots of activities to partake in such as kayaking, biking, walking and hiking or just lazing the day away. I think places like this are what I prefer to visit and see rather than the much more crowded usual tourist places. At least to a change and to get away from it all.